Just the word Rakkasah makes the pulse of any belly dancer race! Imagine immersing yourself in a world of belly dance for a full day or even the entire weekend!! I look forward to it every year and this past weekend did not disappoint. There are always many highlights - seeing old friends and greatly admired dancers, listening to beautiful music all day, being inspired by everyone's costumes and cover-ups, shopping and browsing for belly dance essentials and of course performing too! This year my most favorite moment was getting to be a small part of a tribute to Elaine Arneson (Zelina), a dear friend and beloved Bay Area belly dancer who passed away earlier this year. Truth be told, it was very difficult to know I would be going to my first Rakkasah without her radiant smile and matchless sense of humor to greet me. But getting to be a part of her tribute meant the world to me. I have danced with the troupe El Ashab once before, with Elaine, and it was so much fun. Here is a photo with Elaine on the left. I will look forward to sharing pictures and video from her tribute as soon as I have them. In the meantime, it was wonderful to share memories of her with the other dancers yesterday. She inspired us all and the best way to honor her is to never stop dancing, because she danced all the way through her life and it was such a privilege to know her. That's all for this time. I am working on updated the Classes page and I will post again when I have the new information ready. SSF classes start on 4/25. Happy Wednesday, everyone. 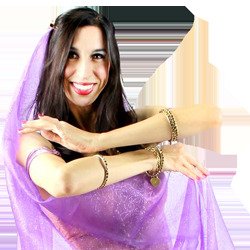 There are so many exciting Bay Area Belly Dance events coming up that I wanted to do a recap of the ones I am involved with before we move back to more vintage clips of the gorgeous Egyptian dancers. First of all, I want to remind everyone that registration is open for both my Beginning and Intermediate Belly Dance Classes through the South San Francisco Parks and Rec. Registering online is very easy. Click this link https://econnect.ssf.net/ and put code 165114 in the box for Beginning and code 165115 for Intermediate. Please always contact me if you have any questions, I am happy to answer them all!! Next up, the San Francisco International Arts Festival kicks off this weekend and Arabic Dance is well represented thanks to Amina Goodyear's fantastic Magic Carpet ride. I wrote more about the show here. I will be performing with the Aswan Dancers at the San Francisco International Arts Festival this year. After that, coming up June 2nd we do our monthly First Friday party at Tannourine Restaurant. Live Arabic music and dancing with sensational singer Khalil Abboud. Reservations are always highly recommended as this show often sells out. Great music, food and dancing- I look forward to it every month. I will be performing on Saturday on both the main stage and the cabaret stage with musical favorites Pangia. Stay tuned for more details and performance times but there will be gorgeous dancers on two stages no matter what time you are there. Lastly, I perform at Marrakech Restaurant in downtown San Francisco almost every Sunday night. Come down and dance with me. Complete details as always on my Shows page. Whew!! Thanks for reading and I wish everyone a fun-filled week. Summer Belly Dance @ SSF Parks and Rec! Registration is very easy online. Simply click here for the link to the SSF Parks and Rec online system and enter class number 165114 for Beginning and 165115 for Intermediate! I hope to see you all in class this summer. As always, don't hesitate to contact me if you have any questions. I hope it works out for some of you to come and enjoy this show, which is sure to be an amazing feast of cultural celebration - colorful costumes, beautiful music, the gorgeous Aswan Dancers and guests and much more. I'll be back on Wednesday with our traditional video clip. Until then, happy dancing.